Rugby as you know it is coming to the end of its shelf life. The game’s top brass will meet in Los Angeles this week to discuss repackaging the game for global distribution. 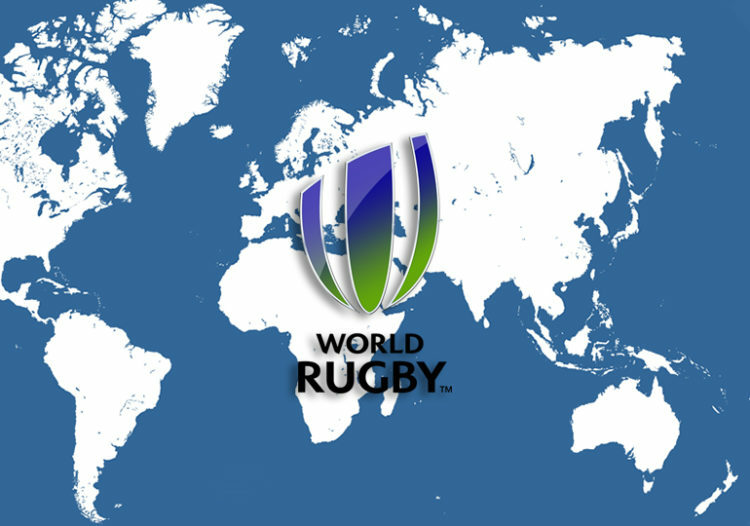 According to Mail Online, World Rugby bosses will huddle with their counterparts from the major rugby nations in the City of Angels to consider a proposal to eliminate the north/south line that currently divides Test rugby. Rugby neophytes will be thrilled with anything that promises change, but the collateral damage will include current cornerstones of the current calendar. The alignment of Northern Hemisphere and Southern Hemisphere rugby would almost certainly eliminate the November tours, compromise the Rugby World Cup and jeopardise both the Rugby Championship (the less interesting version of the Tri-Nations) and the Six Nations, which has traditions that stretch back almost 150 years. The report confirms that “the talks have been prompted by a TV rights agency or major broadcaster looking to pay massive money for one deal that covers the Six Nations and the Rugby Championship” with the top teams meeting in a World League final. Indeed, while the marketing of the professional game has improved tremendously in the Northern Hemisphere, it is still light-years behind the quality and relevance of the product sold to supporters of the world’s leading sports leagues. The Six Nations is run by a private company while Sanzaar rules over Southern Hemisphere rugby, and that’s why World Rugby, more of a facilitating organisation than a governing body, would be excited about the increased control they would gain from global alignment. For South Africa and the three remaining Sanzaar partners, this change could level the rugby economy with an equal share of revenue from a global tournament potentially arming the southern powerhouses with enough money to combat the player drain to the north. Collateral damage and change are almost synonymous. It would be great to have a mix of NH & SH sides playing for the same title on an annual basis. Maybe culminating in the final at a neutral venue. Something along the lines of the champions league football cup. Wouldn’t this just make the World Cup redundant? I’d like to see the proposal before speaking my mind about it. I re-read this article because I thought there was something I had missed or misunderstood, but no, I got it right first time. Firstly, no rugby is not coming to the end of its shelf life. Stadium attendance is down, but viewership is up! Japan and the USA have recently committed fully and as such, if anything, stats would show healthy growth! The quest for a global season has been on the cards for some time now, but this is more to address the tests that are forced outside of the test window and which impact on Provincial or Club Rugby. It is a tweek rather than a re-invention. I don’t think anyone, other than the scribe, has suggested that all will be changed. Climatic conditions will continue to dictate to a large extent, it is merely the areas of overlap that need attention! Broadcaster control of rugby events has proven to be a bad thing, because money rather than quality becomes the prime criteria! We have seen this in Super Rugby, where there still seems not to be an understanding that LESS is MORE! I’m sure this is aimed primarily at the 6 Nations which is undervalued commercially despite selling out stadiums, and at premium prices too. They won’t need to aim very high to swamp the current broadcasting deals which are mostly free-to-air. SANZAAR can expect to get value from the Rugby Championship but it will force Super Rugby to find it’s own broadcasting deal , which honestly should have been the case from the beginning. My hopes for significant money going to SR alone are slim. In the bigger picture it means more money, therefore more power, for the national unions, enabling them to combat the private clubs. It depends what they do with it. It doesn’t change the fact that rugby in South Africa cannot generate enough revenue to sustain the employment of hundreds of first class players. In the current configuration it is insolvent. The same applies to Australia and Argentina, while New Zealand is barely keeping it’s head above water. Actually, not even NZ is keeping its head above water, NZ runs a $5 million deficit, they only make it up with odd Lions tour and then have to go on a belt-tightening exercise till the next one. Personally, I think we are witnessing the end of “nationalism” in rugby and the advent of the Super Club like they have in football. I suspect a global season will be more geared towards finding ways for teams like the Crusaders to maximize their income by competing with teams like Munster, Leicester, Toulon etc etc for Global Bragging Rights. Its the only thing that makes sense when the National Union loses the ability to retain its best players. When a Club has the ability to beat the National side simply because they have access to better players why would you be watching mediocre National sides compete? As South African rugby supporters, we have the added dimension of the racist quota policies and incessant government interference in the sport so I’m actually in favour of rugby devolving its hierarchy to a Club level. I believe a Stormers, Sharks or Bulls team free from any interference could easily be in the top 5 Club teams internationally and I would be happy to support such a team. Millions of Man U, Barcelona, Real Madrid fans will understand what I am on about, they are feral about their clubs and not that worried about the National team. Very difficult to argue with frankly, because quite simply that’s the way it’s going. It is almost as if rugby has arrived at its final transitional hurdle into professionalisms. By the bye, is there not perhaps a fourth SA team that might make the top five? LOL, just a little dig to see if the kneejerkers are paying attention. When you look at most of the really big sports in the world, you will notice that the focus is more on individual and Club performances than the National side. In America its baseball, basketball, football and ice hockey, in Europe its football. Then you have sports like tennis and golf,—-every one of those sports makes magnitudes more money than rugby. So logically if you are looking to commercialize something you go where the money is and its not at International Level. Even cricket is moving that way with the IPL and the BBL so rugby is actually quite anomalous with its fixation on the national union. In answer to your question “no”. Did you have another side in mind?